A cherished staple of Arctic culture in the Northwest Territories, Inuvlialuit dancing and drumming connect Northerners with their land and immemorial traditions. Festivals, such as Inuvik's springtime Muskrat Jamoboree, captured in this video, are a stellar way to feel the beat of the North. And limber up your legs – you might just be invited to join in. Keen on seeing Inuvialuit dancers in action? Get the inside scoop on visiting the Western Arctic. And for more on Aboriginal tourism in the Northwest Territories, check out our cultural experiences. A road-trippers’ tour of three great territorial campgrounds. Trout Rock Lodge is a beautiful wilderness lodge located in the pristine North Arm of Great Slave Lake. It is a 15 minute floatplane ride from Yellowknife. Eco-award winning, all-season, fly-in (from Yellowknife) wilderness resort and lodge. 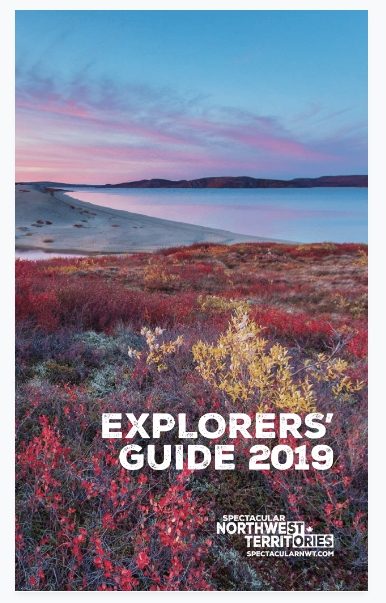 Open summer and winter for aurora viewing, fishing, and wilderness holidays out of Yellowknife. Chuck Gruben is an active Inuvialuit hunter and trapper very knowledgeable in the Tuktoyaktuk area offering customized tours (hunting, hiking, bird watching, fishing) available on request. We offer Yellowknife daytime and aurora viewing tours. Please contact us for more information! Explore 14 kilometres of groomed trails near downtown Yellowknife.